As the sun sets slowly over the Mediterranean, one man holds a yoga pose while a couple of surfers gather in a group and stare out onto the horizon. This scene isn’t one from a must-see European destination; this is Tel Aviv – the cultural capital of Israel. Despite being encircled by turmoil, the city – otherwise known as the White City because of its UNESCO listed Bauhaus architecture – is a burst of positivity, blocking out the conflict surrounding it. Founded in 1909 to the north of the walled Jaffa city, Tel Aviv – or Hill of Spring – sits along the eastern coast of the Mediterranean Sea. It was first established as Achuzat Bayit by merchants and its first Jewish settlement was in Neve Tzedek in 1887. According to UNESCO, the central area of The White City was constructed from the early 1930s until the 1950s, reflecting modern planning principles. The Bahaus buildings present today were designed by architects who were trained in Europe to create an architectural ensemble of the Modern Movement, UNESCO states. 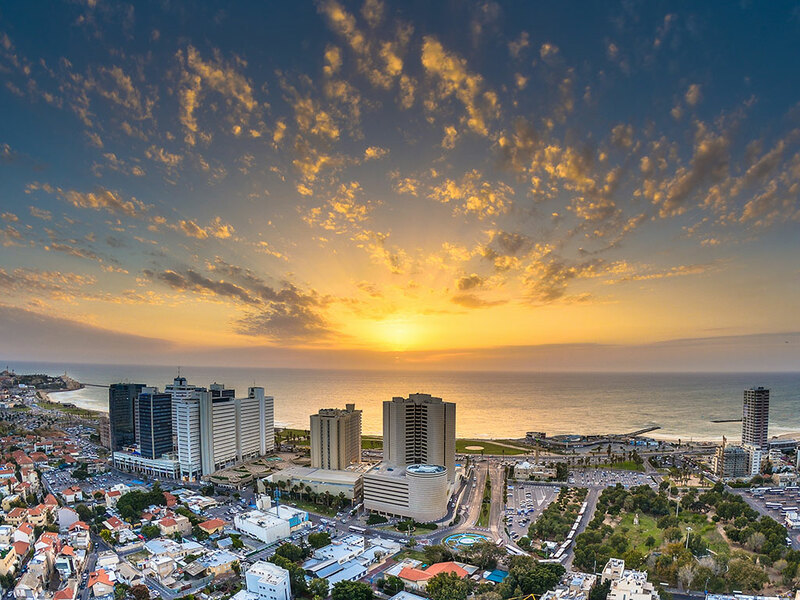 Ranked one of the two most innovative cities in the world by The Wall Street Journal, Tel Aviv is also listed as one of the top three tourist destinations by Lonely Planet. Nestled in a country that is less than 70 years old on the edge of the Mediterranean, it is a young city full of bright minds eager to inaugurate ideas for the outside world. With certain vitality about the place, people do not merely talk about their dreams, but make sure they’re transformed into a reality. It’s the new city that never sleeps. Boasting more start-up companies per capita than anywhere else in the world, the city of more than 400,000 people is competing with major hubs on the tech start-up scene, such as Berlin and Moscow. Dubbed the ‘start-up nation’, Tel Aviv is currently ranked the second most successful startup hub in the world behind Silicon Valley in San Francisco. Young companies such as Get Taxi and Waze App are just two of more than 5,000 young businesses with a comfortable presence in Tel Aviv. Waze – an Israeli social mapping company which updates its service in real time by incorporating users’ driving times and other feedback on accidents and traffic jams – was bought by Google for $1.3bn last year, according to The Guardian. Such companies are taking advantage of city-sponsored local and national policy, municipal tax breaks, venture capital, seed funds and accelerators, co-working spaces and free Wi-Fi. Less than five hours from London, and with more than 300 days of sunshine a year, more and more entrepreneurs and start-up owners are making time to travel to Tel Aviv – to set up a company or to observe the business climate there. The strong sense of success and youthful vibrancy is giving way to a plethora of cultural attractions – from the contemporary Bauhaus architecture in the city centre to the art and design in Neve Tzedek, the cuisine in Florentine and the energy of the business people on Rothschild Boulevard. Here, workers sit atop bar stools at coffee shops placed precariously in the middle of the road, taking full advantage of the free Wi-Fi found throughout the city. HaBima square and its sculptures can be admired from the sunken steps while The Tel Aviv Museum of Art or the regular art markets of the Nahalat Benyamin also provide for great viewing. Cycling can lead the fascinated to Carmel Markets – a popular place for tourists but one that provides a mix of trinkets, exotic fruits and stunning jewellery. Although a little further away, the ancient fishing port of Jaffa is one not to be missed. Characterised by bustling markets and winding alleyways filled with hidden Turkish baths centuries old, Jaffa is one of the oldest ports in the world, even making it into the story of Jonah and the Whale in the bible. Despite the negativity generated by the media, Tel Aviv is certainly revelling in joie de vivre and vibrancy. 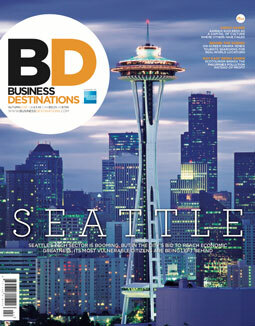 With innovation booming and startups developing at an exceptional rate, the city is making a name for itself in light of its exceptional business and tourism attractions. Located in the middle of all the hustle and bustle on the corner of Yavne and Rothschild Boulevard, Alma Hotel is a five minute walk from Neve Tzedek. This hotel sits within the heart of Tel Aviv’s urban scene, ideal for the seasoned business traveller wanting to explore the plethora of culture on offer. In addition to being incredibly central, the Rothschild Hotel has a historical aspect by paying homage to Baron Edmond de Rothschild – the very first recorded Hebrew startup entrepreneur. Located on the boulevard that kisses the coastline, this hotel has sweeping views of the Mediterranean despite being a little further out from the city centre. Very-well known for its incredible hummus and located in Jaffa, the short taxi ride to Abu Hassan will be absolutely worth the local dining experience. For those wanting to try Middle Eastern-style shakshuka, look no further than Delicatessen. The coffee is near perfect and the addition of a deli for cheese, olives and meats is convenient. Although it is constantly busy, Brasserie’s French-inspired food and stunning art decor is a must when visiting the city. You might just think you’re in Paris instead. Messa’s menu provides a touch of French and Italian with a Mediterranean–Middle Eastern haute cuisine. Be impressed by the white-on-white dining room and black-on-black bar. Ma Nishma – How are you?